Competition will be held at the Copper Box Arena in the Queen Elizabeth Olympic Park on May 25 and 26. It follows the success of the inaugural edition in 2018. Among those expected to compete are last year's winners Yuto Horigome of Japan and Jenn Soto of the United States. They will be joined by a minimum of three British men and women with this year's format ensuring that will be the case. Fans will get the chance to see some of the world's best skaters battle it out for "pride and prizes" in a custom-built concrete skate plaza, designed to inspire innovative tricks and take skateboarding to new heights. The competition features an exciting easy-to-follow format, it is claimed, anchored by instant scoring. This will result in down-to-the-last-trick "buzzer-beater" moments, it is hoped. As well as showcasing the world's best street skaters, it is claimed the event will again highlight London's rich street skating scene, "celebrating the creativity, physicality, and sense of community that lies at its core". Southbank in London is said to be the oldest continuously skated spot in the world. Two of Great Britain’s top male and female skaters, Alex Decunha and Helena Long, were in the Queen Elizabeth Olympic Park to launch this year’s event, which will count towards qualification for skateboarding's Olympic debut at Tokyo 2020. "It is an amazing feeling to have the SLS World Tour back in my home city," Long said. "To have the world's best skaters here will be incredible for fans and I'll be aiming to compete especially with Olympic qualification at stake. "London has always had a strong and vibrant skate scene and this event will inspire even more Londoners to take it up." 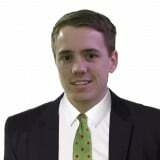 SLS chief executive CJ Olivares added: "We're excited and honoured to return to London after the success of last year. "Once again, we will be bringing the most talented skaters in the world to the Copper Box and with Olympic qualification at stake, the competition will be even more fierce. "With some amazing talent and skills on show, this will be a spectacular event not just for skateboarding fans but for those who have never experienced a live skateboarding event before." Tickets for the event went on sale yesterday. Qualifying for the competition will take place on May 24 with tickets available for two days of competition on May 25 and May 26. The men's and the women's finals will be held on May 26 with semi-finals scheduled for the previous day. In May of last year, Olivares insisted the qualification process for Tokyo 2020 will be open and accessible to athletes from countries all over the world following criticism regarding the format on their World Tour. Olivares told insidethegames that claims their World Tour events would be restrictive were false. 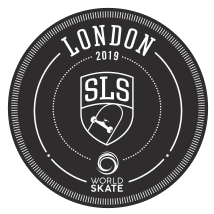 The SLS struck a deal with World Skate - the International Olympic Committee-recognised Federation for the sport - in April 2018 and have since been playing a role in the process. The American official admitted athletes for previous World Tour competitions were selected, meaning only the top competitors were chosen and alienating those from less-developed skateboarding nations. Critics such as World Skateboarding Federation President Tim McFerran, President of a governing body originally involved in Olympic-integration negotiations before being excluded from the final deal in 2016, have claimed this goes against the Olympic ideals.